Harold Ford Jr was honored at River Fund’s Milestone Gala on November 15, 2018. 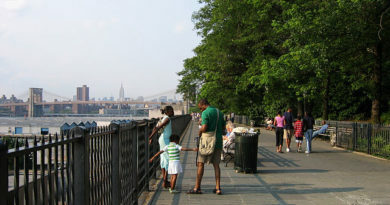 The River Fund is a New York-based organization whose mission is “to feed and empower those we serve to move beyond the lines of poverty.” The organization, which distributes food to over 28,000 people a month, honored Harold Ford Jr for supporting The River Fund. Harold Ford Jr’s advocacy extends to other arenas, including politics and education. A former Congressman who represented the state of Tennessee from 1997-2007, Harold Ford Jr is a long-time proponent of community empowerment. 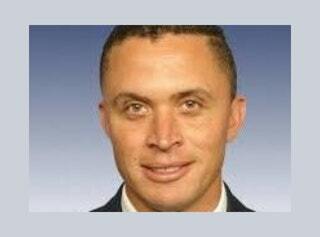 Voted into office at the age of 26, Harold Ford Jr was the one of the youngest members of Congress in US history. During his time in Congress, Ford served on the education, financial services and budget committees. He was chairman of the Democratic Leadership Council as well as Special Assistant at the US Department of Commerce. Harold Ford Jr was also the keynote speaker for the 2000 Democratic National Convention. Harold Ford Jr is the author of More Davids than Goliaths: A Political Education. As an author, politician, and businessman, Harold Ford Jr believes that ending the cycle of poverty should be a national priority. The Milestone Gala took place at the Ziegfeld Ballroom in Manhattan, NY.